While WordPress is certainly easy to use, and a functional website can be created very quickly, it’s not always easy to get rid of that ‘WordPress’ look. If you’re having trouble getting your website to look as professional as you would like, you’ve come to the right place. Here are several tips that are easy to implement that will take your WordPress website to the next level. 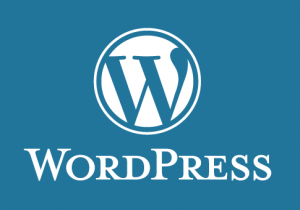 It’s true that having your blog hosted for free on WordPress.com or Blogpot.com is, well, free. However, it also gives the impression that your website lacks professionalism. There are also several advantages to using a hosted domain. The biggest advantage is that you own all of your content and your data. You can also monetize your site anyway you choose. The header graphics that come with the vast majority of WordPress themes do not look good. If you’re good with graphics, a good-looking header can be made in just a few minutes. There are plenty of people that can be found online that would be happy to make a banner for a few dollars. It is also possible to make a good-looking banner with text by choosing the appropriate font and colors. If you’re going to offer a newsletter to your traffic, your sign-up form should be prominent and seen without the reader having to use the scroll-bar. This is an excellent place to introduce yourself and talk about what you do. What’s your purpose? At the very least, it provides an idea to your visitors about what they can expect your website. This would be a good place to talk about your interesting in providing local SEO for small business. It’s important that people be able to reach you in some fashion. What if they want to buy something from you and have a question? Maybe they would like to form a joint venture with you. Let people contact you in some way. It looks much neater if all your images are published with the same width. It keeps all the text in-line and is more aesthetically pleasing. There are a few simple things that will make any website look better and more professional. Creating website with WordPress is fast and easy; creating website with WordPress that looks professional can take a little more time. Annette is a Freelance SEO writer that usually writes about tech and blogging.